RAIL YARD is a dynamic environment designed to motivate, inspire, and expand upon your business. We are a consortium of creative individuals who offer terrific service to our clients, and conduct our businesses with great integrity. RAIL YARD offers a variety of spaces to meet different needs, styles of working, and functions. Want to have a cozy coffee for three? A formal meeting for twelve? We can accommodate your needs with beautiful offices, intriguing common areas, and amenities for executives and ambitious innovators. RAIL YARD is perfect for professionals who value sophistication and enjoy the dynamic work environment that develops when surrounded by other creative and inspiring environments. At RAIL YARD, we're blending custom, unique, highly functional office spaces with efficient design to create a truly appealing workplace in Tucson. Our non-traditional elegance provides an inspiring and productive setting you'll be proud to call your business's home. RAIL YARD is a historic 65 year-old red brick warehouse with 16' ceilings has been transformed into the perfect working space for today's sophisticated professionals. Come and be a part of the RAIL YARD community - your own unique footprint will be visible! Acclaimed interior designer Linda Robinson has spent countless hours designing RAIL YARD as the perfect workspace. Sleek chairs specially commissioned by her, mixed with raw steel and natural wood desks designed specifically for RAIL YARD, have created an exciting look in a very high-tech work environment that blends the old and the historic with new cutting-edge design. 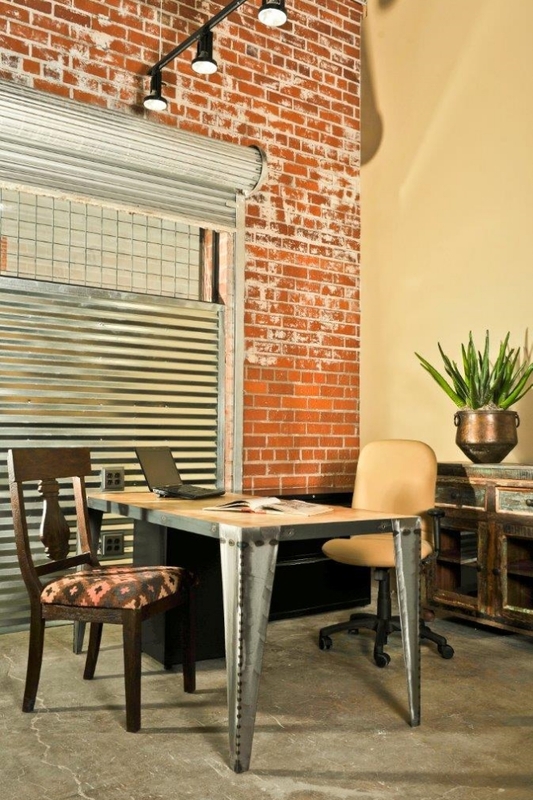 With a working space at RAIL YARD, you’ll be working in the midst of Tucson’s great historic district. We’ve transformed what was once the heartbeat of American manufacturing into intimate, upscale offices and meeting and event spaces with heart and friendliness.